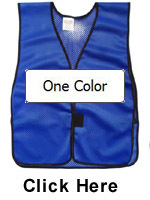 This version of the blue safety vests comes with a hook/loop front, and elastic sides. The size dimensions are large enough for great coverage and help to increase visibility. An elastic side strip makes these products easy to adjust, so you can get an optimal fit. A black border around the edge of each vest enhances style, and a convenient poncho design delivers great coverage and protection. 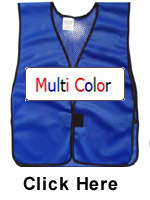 Click the button below to add the Royal Blue Soft Mesh Plain Safety Vest - Medium Size to your wish list.